THE WOODLANDS, TX (November 21, 2018) — Interfaith of The Woodlands and Junior League of The Woodlands are pleased to announce CHI St. Luke’s Health as the Presenting Sponsor for the 2019 Giving Goes Glam Fashion Show and Luncheon, as well as Event Chairs Nicole Murphy and Emily Wilcox. The highly anticipated 8th annual event will be held at The Woodlands Waterway Marriott Hotel and Convention Center on Friday, April 5, 2019. “Nicole and Emily are both deeply entrenched within this community, sharing their time and talent with many philanthropic endeavors. We are thrilled that they will be lending their expertise to Giving Goes Glam, leading an energetic and creative committee of 50 volunteers. 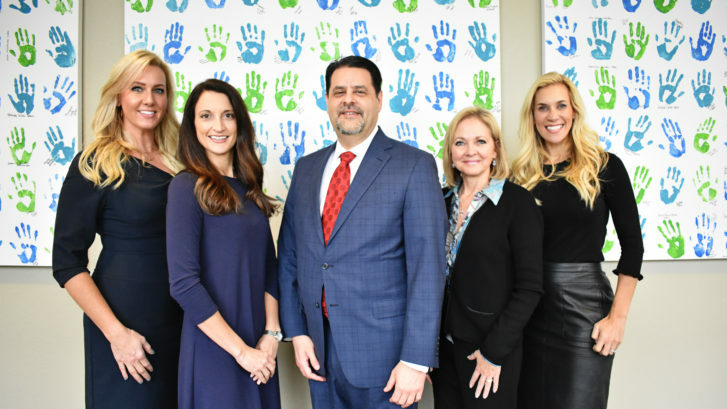 This year is certain to be an event to remember, whose far-reaching effects will be making a difference in the lives of many families, seniors, women and children in need,” said Jennifer Colerick, Junior League of The Woodlands’ President. The event will include a New York–style runway show highlighting fashion provided by Saks Fifth Avenue. The perfect combination of fashion, philanthropy and friendship, Giving Goes Glam’s proceeds benefit the missions of both organizations, providing programs and services for the South Montgomery County community. For sponsorship opportunities or further event details, please visit givinggoesglam.org or contact Carolyn Donovan, Interfaith of the Woodlands’ Director of Development, at development@woodlandsinterfaith.org or 832-615-8225. Interfaith of The Woodlands is a nonprofit social service agency celebrating its 45th year of providing numerous programs and services to meet the needs of The Woodlands community and surrounding area. For more information on Interfaith’s programs and services or to become a volunteer, please visit woodlandsinterfaith.org or call 281-367-1230. 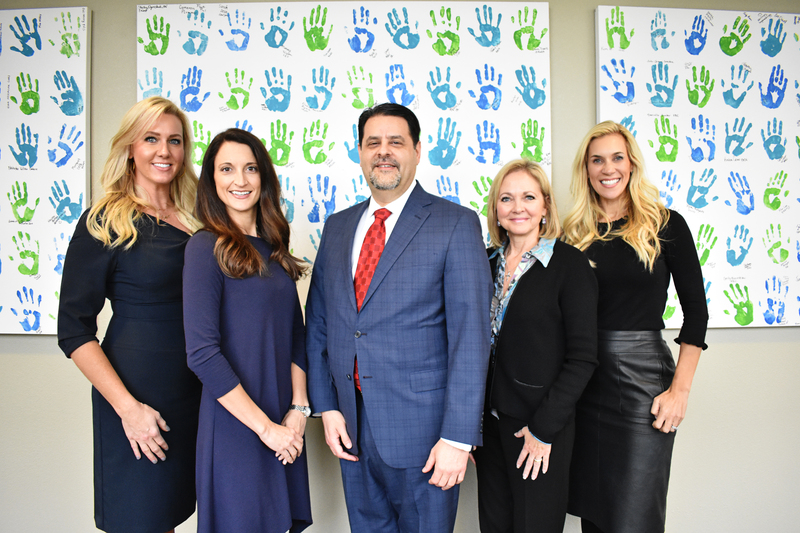 (l-r) Nicole Murphy and Emily Wilcox, Event Chairs of Giving Goes Glam; Jim Parisi, President of CHI St. Luke’s The Woodlands; Diane Pardew Freeman, VP and CNO of CHI St. Luke’s The Woodlands; and Missy Herndon, President and CEO of Interfaith of The Woodlands. Event Chairs, Emily Wilcox (left) and Nicole Murphy (right), at Saks Fifth Avenue in preparation for the New York–style runway show at Giving Goes Glam. 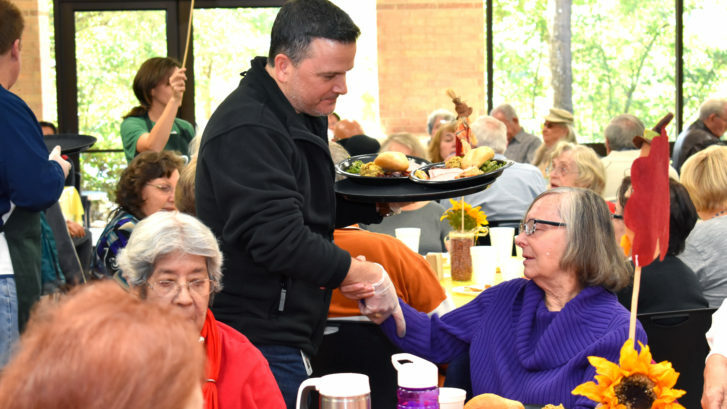 THE WOODLANDS, TX, (Monday, November 19, 2018) — Interfaith of The Woodlands recently hosted their annual Thanksgiving Feast for Senior Adults at the South County Community Center. 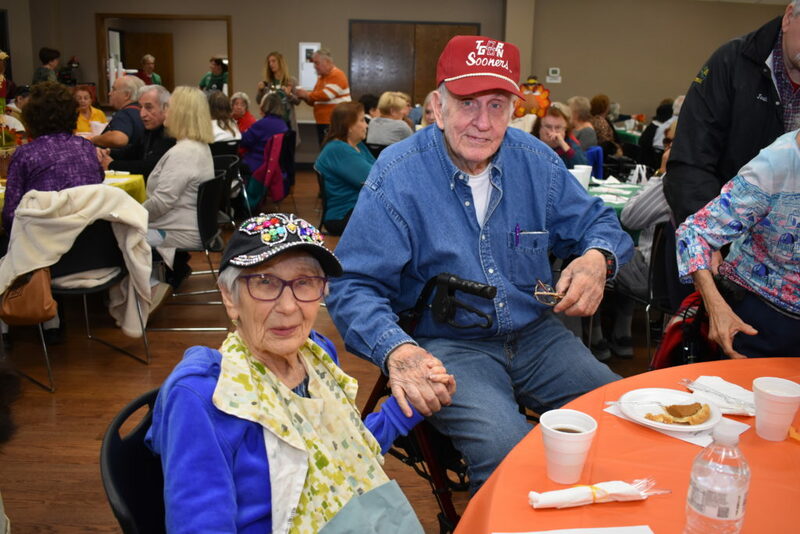 There were 120 seniors in attendance who enjoyed a traditional holiday feast served by Commissioner James Noack (pictured above), Interfaith staff and volunteers. Alex Sutton, Vice-Chair of Interfaith’s Board of Directors, kicked off the feast, and Commissioner James Noack delivered the pledge. A highlight of the luncheon was a special performance by the Transition to Kindergarten students from Interfaith Child Development Center, who entertained the Senior Adults with Thanksgiving-themed songs and dances. 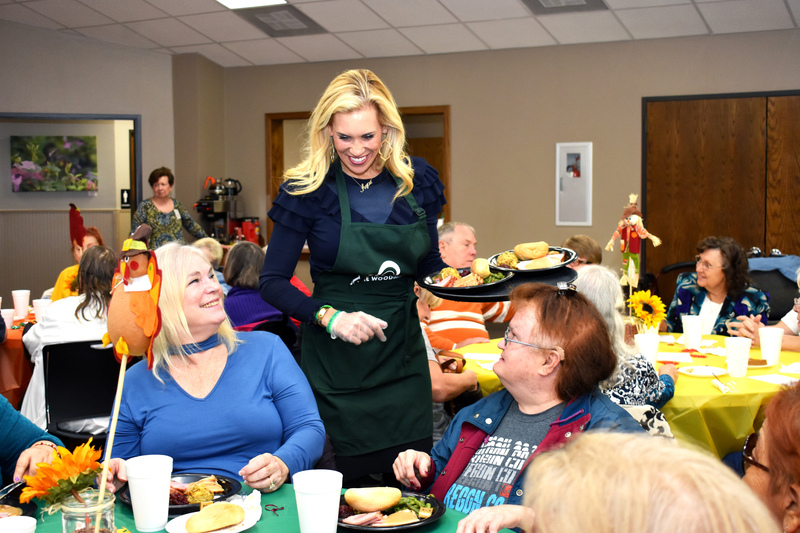 Pictured: Missy Herndon, President and CEO or Interfaith of The Woodlands, shares a moment with the Senior Adults while serving the Thanksgiving Feast. Pictured: Senior Adults enjoy food and fellowship at the Thanksgiving Feast, served by Interfaith staff and volunteers and hosted at the South County Community Center. Our thoughts and prayers are with our local Jewish neighbors and the entire Jewish community in our nation. Interfaith asks you to join us as we continue to share love, and care for ALL of our neighbors. The Woodlands Religious Communities, Inc., known as Interfaith of The Woodlands, was created in 1973 to bring people of ALL faiths together and build the spiritual side of our community. We are an organization whose sole purpose is to ensure that every neighbor has a spiritual home and our places of worship, representing ALL faiths, are willing to come together to build community through the beautiful acts of serving. It is during times like these, we thank our 62 member congregations, volunteers and donors, for your willingness to put aside your religious differences and come together to care and love one another.